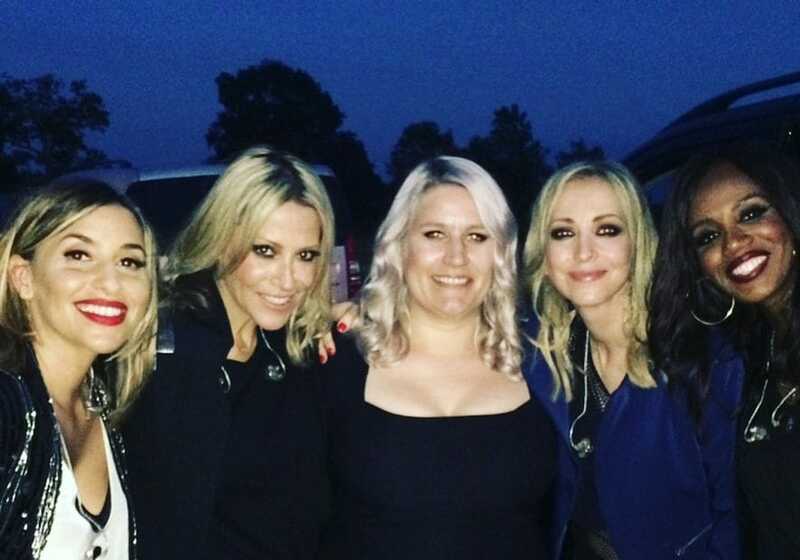 ALL SAINTS HAVE A FIFTH MEMBER… WELL KIND OF! Last Friday night, a charity event was thrown on a beautiful and peaceful Cheshire estate. Guests flocked from all around to enjoy a night of entertainment, food, drink and surprises! Leaders from the world of business, footballers and soap stars flooded to the polo club where they were in for a treat! William Stobart opened the grand marquee and guests entered to the fabulous House of Angels on stage who performed mashups and mixes that enthralled the guests as they took their seats. They were then welcomed by the hilarious Stephen Mulhern who entertained guests with his hilarious set before introducing Chico – who hosted the “how quick can this truck be wrapped” competition. Guests were asked to bet how long it would take to wrap the Eddie Stobart cab – a job that usually takes 4 hours! Next up was an exciting treat – the beautiful and fantastic All Saints came out to cheers from everyone and the dance floor was rammed full of people singing and dancing along! The girls played their most iconic songs along with some new tracks off their upcoming album and they wow’ed everyone with their fantastic voices and dance moves! Tommy T and the BelleTones then took over, spinning their usual tunes and had the audience whipped up into their own style of frenzy, including some very familiar faces from a particular soap!